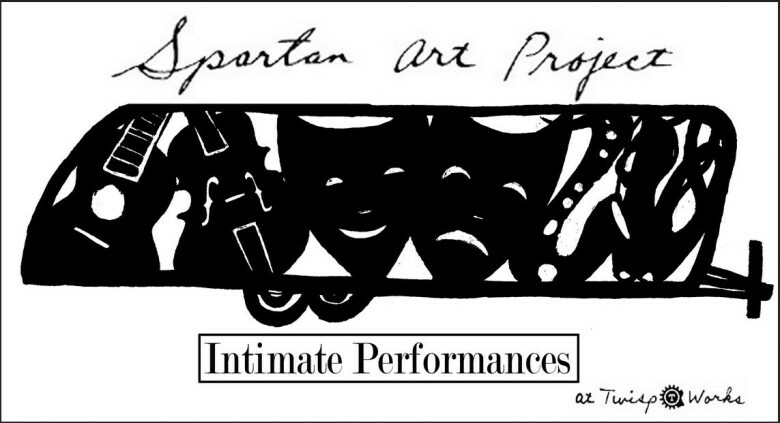 The Spartan Art Pro ject will be kicking off their “Intimate Performances” series with a two-act evening featuring a reading of original poetry by barkeep and wit Patrick McGann, followed by Pipestone’s own Tara Weaver, performing solo Bach on the violin. The performances will take place at the Spartan Art Project on the TwispWorks Campus, either inside of or in front of the Spartan, depending on the crowd size and weather. LOCATION: Spartan Art Project Mobile Art Gallery on the TwispWorks Campus. CONTACT INFO: Please contact Matt Armbrust with questions, mattpotter@holdenvillage.org or 509-997-1022. PRICE: Attendees will be asked to pay-as-inspired in a pass the hat format, recognizing that as artists, performances by Patrick and Tara have a suggested value of $30-$50. Food and drink will be available by donation.